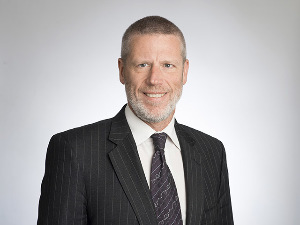 Rod Carr, the former chairman and acting governor of the Reserve Bank of New Zealand, has joined ASB's board of directors. Banking veteran Carr was the Reserve Bank’s deputy governor from July 1998 to July 2003, and held the role of acting governor for about five months in 2002 when Don Brash left the central bank to become a National MP. Carr is familiar with high-profile banking roles. He spent 11 years in commercial banking including, including a spell as a senior executive at National Australia Bank in Melbourne. Carr rejoined and chaired RBNZ between 2013 and September 2016, when he was replaced by incumbent Neil Quigley. At the time, reports suggested Carr had an interest in the governor role full-time. Carr has been a vice-chancellor at the University of Canterbury since February 2009 but will retire in January next year, ASB said. He holds a PhD in Insurance and Risk Management and an MA in Applied Economics and Managerial Science from The Wharton School, University of Pennsylvania; an MBA in Money and Financial Markets from Columbia University, New York; and undergraduate honours degrees in law and in economics from the University of Otago. Carr joins managing director Vittoria Shortt, chairman Gavin Walker, and existing non-executive directors Dame Therese Walsh, Simon Blair, Michael Coomer, and Susan Peterson on the ASB board.